A recent TCC decision has re-affirmed the importance of understanding and operating contractual time bars under JCT Standard Building Contracts in relation to Final Certificates. An employer and contractor entered into the JCT Standard Building Contract (Without Quantities), Revision 2 (2009) for the provision of services on a project in Mayfair. A Final Certificate was issued requiring payment to the contractor. Reimbursement of direct loss and/or expense. Within the contractual 28 day period, the contractor issued court proceedings disputing the validity and accuracy of the Final Certificate. Due to the slow progress of the initial proceedings, over a year later the contractor initiated adjudication proceedings in relation to the same dispute. This was clearly a strategic attempt to speed up the recovery process in advance of the conclusion of the court proceedings. The employer challenged the contractor’s right to bring adjudication proceedings after the expiry of the period to challenge the Final Certificate, i.e. 28 days. The contractor argued that the Final Certificate was not conclusive because the matters it disputed in the adjudication were the same matters it disputed in the original court proceedings and they already had their ‘foot in the door’ as those proceedings were underway. The court agreed with the employer. Whilst the contractor had commenced court proceedings within 28 days of the Final Certificate, it had not commenced adjudication proceedings within that period. In that circumstance, the contract was clear – the party disputing the Final Certificate was required to commence “adjudication, arbitration or other proceedings … within 28 days after the Final Certificate’. The Contractor had made its election as to which forum it wanted the dispute to be decided – the court – and was stuck with it. Parties can get caught out by the reduced time limits in these clauses. 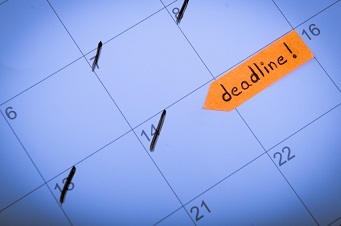 Missing any contractual deadlines or failing to develop a strategy for dealing with claims in good time for these deadlines is an easy but expensive mistake to make, as this case illustrates.